Ladies and gentlemen, start your air purifiers. 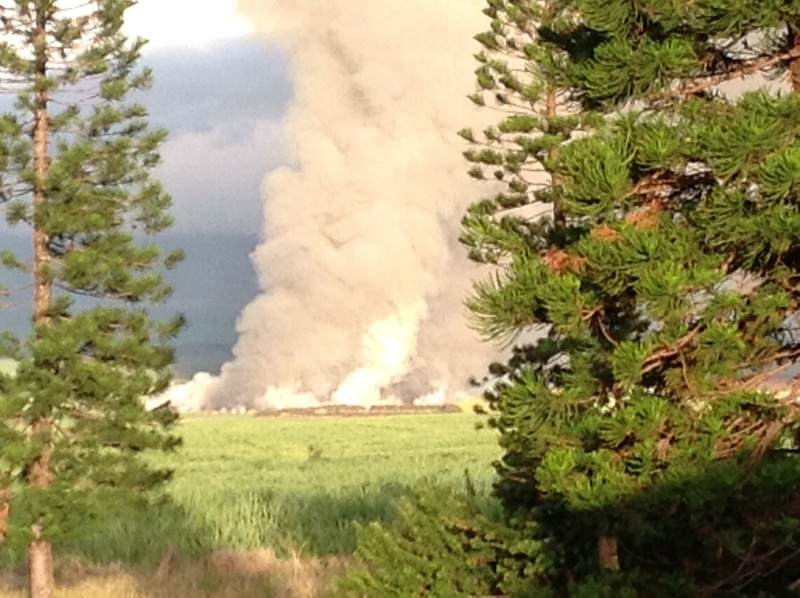 It’s the 143rd year of sugarcane burning on Maui. This is so we will know to sleep with our windows closed. My sister was here visiting us from Indiana, and she could hardly believe that we live in HAWAII and have to keep our windows closed, either from VOG (volcanic organic gas) or cane smoke. 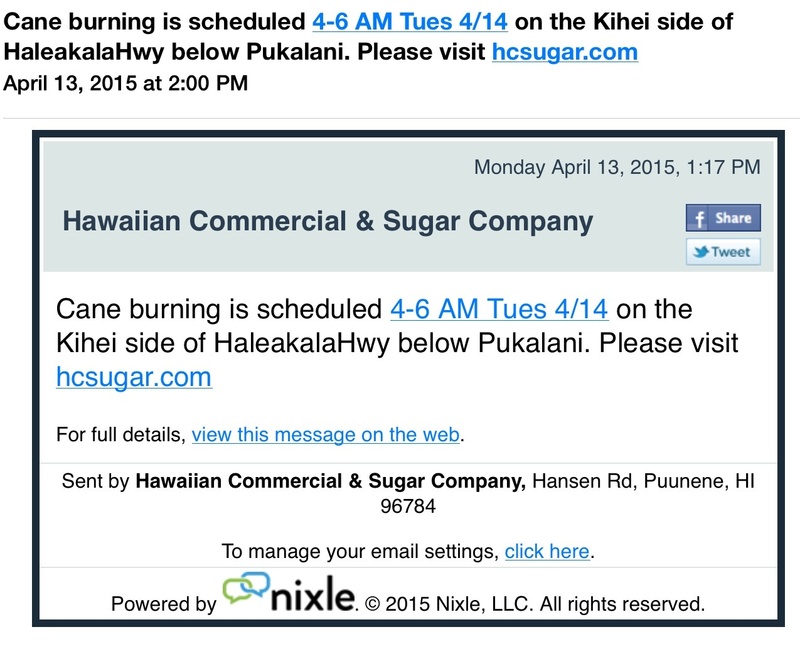 And we will wake up in the morning to “Maui snow”, the sticky, black ash that covers our cars, porches, and sidewalks. 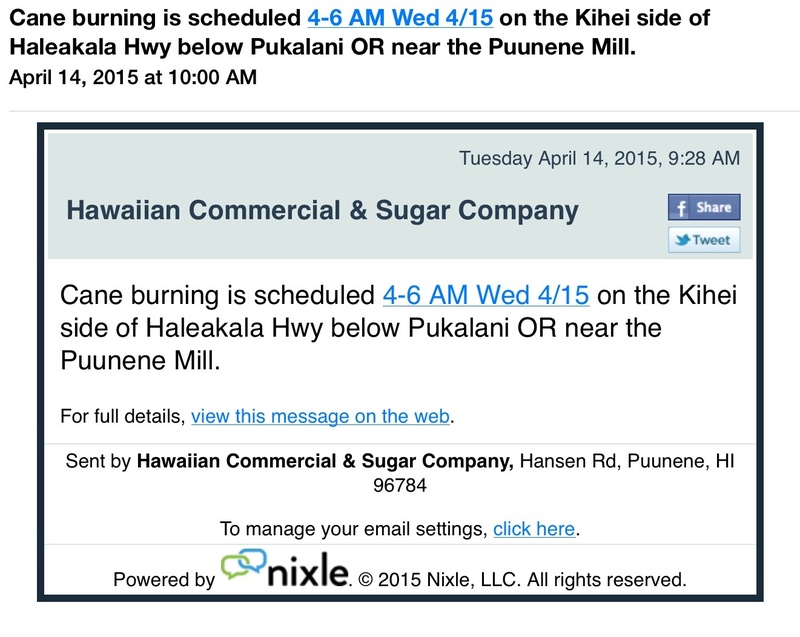 Last week, someone purposely set one of the cane fields near our house on fire. It was touch and go for a while as to whether they would have to evacuate the houses, but luckily the wind stayed in the right direction. 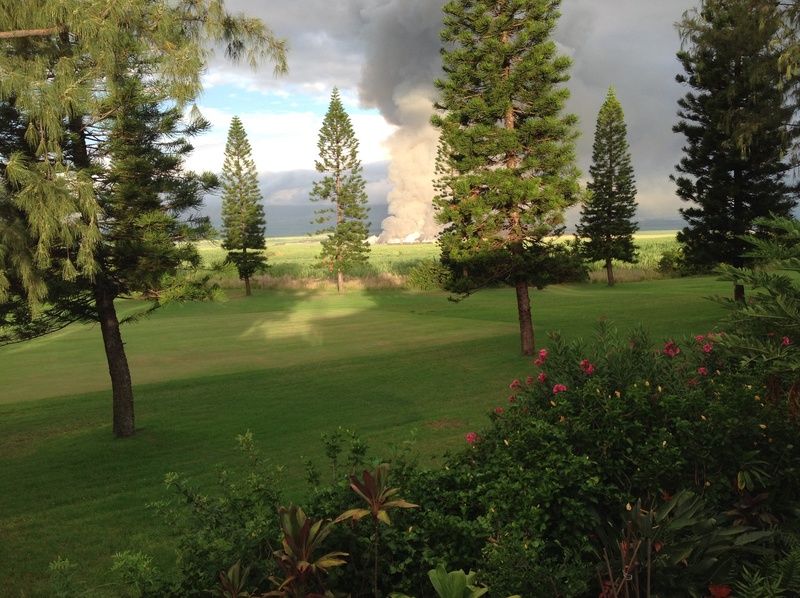 As I always say….never a dull moment when you live on Maui! A hui hou. if you’d like to stay in the loop, please click the “Follow button to the right, or on the Homepage. This entry was posted in Life in Hawaii and tagged air quality in Hawaii, asthma on Maui, cane burning on Maui, HC&S Sugar Company, Health effects of sugarcane burning on Maui, Maui, Vog by jamaicawtr. Bookmark the permalink.